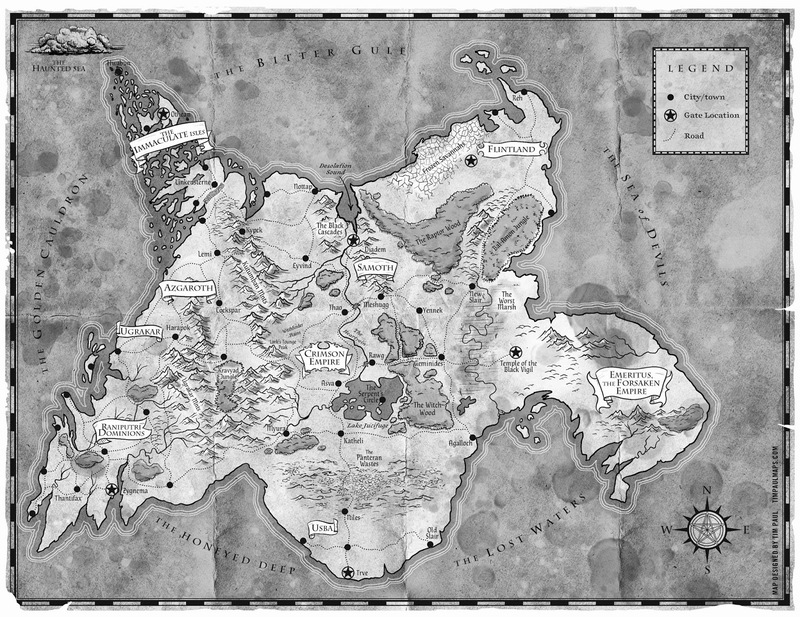 Behold, in all it's glory, the map for Alex Marshall's A Crown for Cold Silver, electronic edition. In fact, it must be in the retail edition of the book, both electronic and physical but I only have the ARC in both formats... Anyway, here's a link for the map and cover creation process from the talented hand of Tim Paul (cover and map) and the direction of Orbit books Lauren Panepinto. It's a nice contender for my best map of the year! It was added to the index. As it happens, the print edition does not include this map, though it makes a faint appearance on the back cover, under the author blurbs. Thank you for posting this, as I have printed out a copy and stuffed it into my library copy of the book for easy reference.